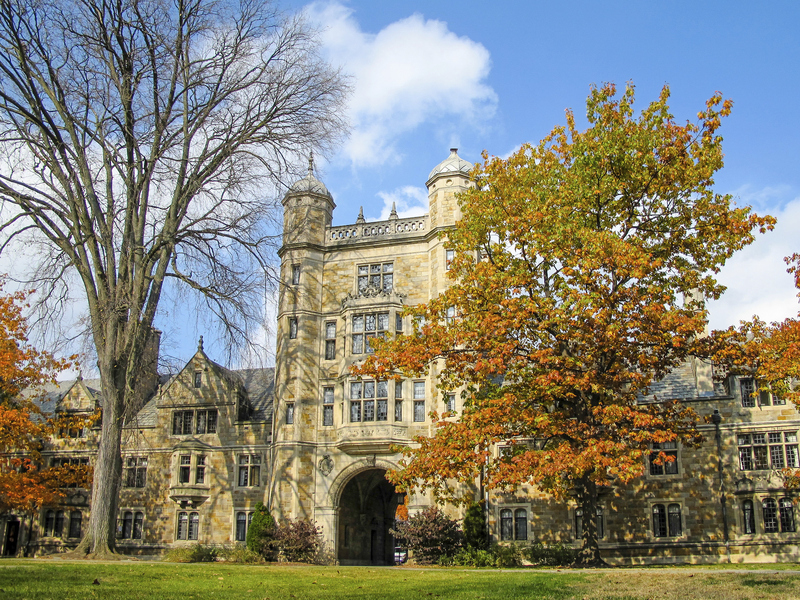 Visiting colleges is a major milestone for parents and their kids. These colleges have some of the most incredible scenery come fall, and students aren’t the only ones who are welcome to enjoy it. If you’re thinking about planning a short autumn getaway in the next couple months, consider stopping at one of these campuses for truly unforgettable sights and experiences. Middlebury, Vermont may be a small town, but it has a lot to offer. 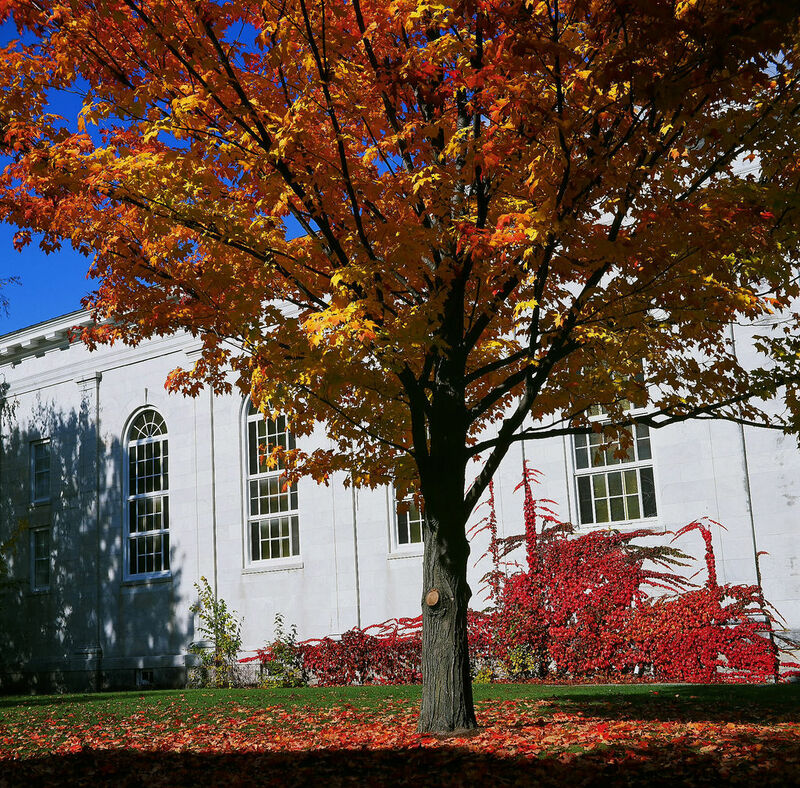 If you love colorful, rolling hills, and breathtaking mountain views, Middlebury’s got the best of both worlds. It also boasts some of the best college theater on the East Coast, so consider taking in a show if you’re up there during the school year. Tufts’ campus is situated in the lively urban town of Medford, Massachusetts, but the university still has an intimate feel to it. Bring a picnic lunch to enjoy while basking in the gorgeous light that saturates President’s Lawn come fall. 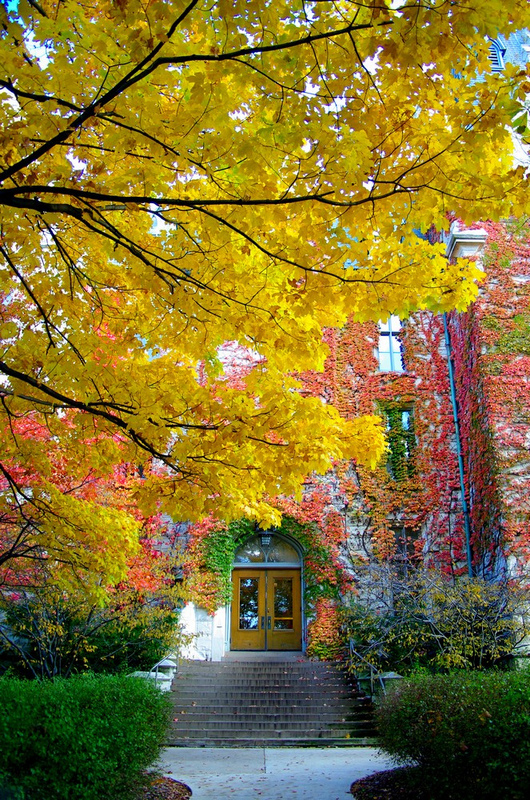 If you walk through the famous Northwestern University Arch in Evanston, Illinois, anytime in October, you will likely be dumbstruck by the brilliant colors of the towering trees. Take the winding path that skirts Lake Michigan and loops around the campus, or just sit and wonder at the rainbow-colored ivy that graces the school’s Deering Library. 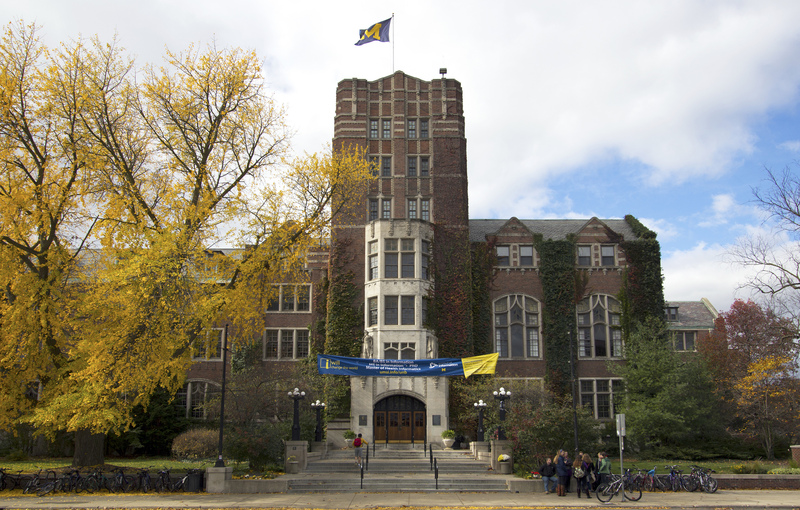 If you happen to be near the quaint town of Ann Arbor, Michigan, you can’t miss all the beautiful scenery the University of Michigan has to offer. You can stroll through the Diag or the Nichols Arboretum for nature up close and personal, or get on your best blue sportswear and take in a Wolverines game at the Big House. You may think the Pacific Northwest is only known for its rainy days, but in the fall, it’s a veritable menagerie of colorful trees. 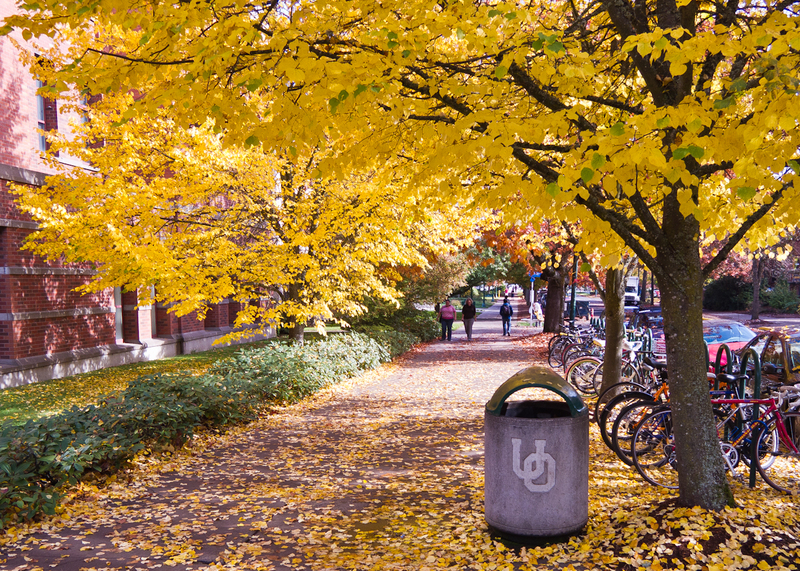 The University of Oregon in catalogues its 530 species of trees, so you can find out exactly which ones are turning red! Not only is this campus lakeside, it’s near the awesome Muir Woods, which is home to some truly spectacular trees. 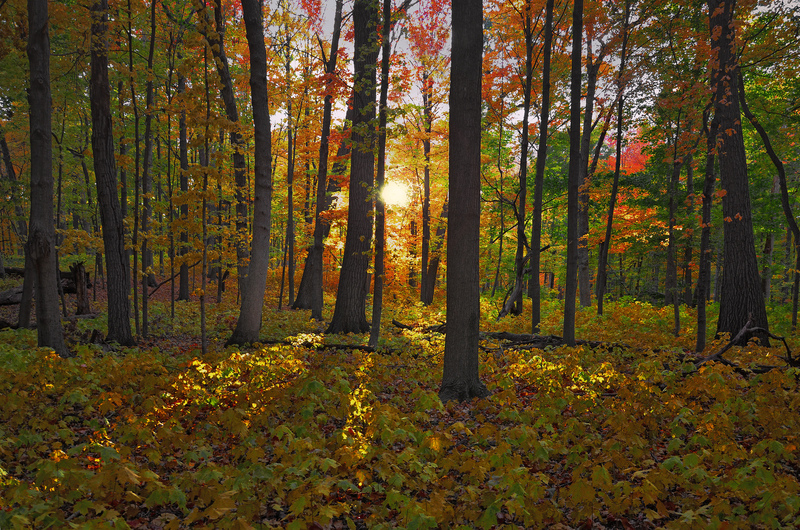 The campus even has an arboretum where students and visitors alike can immerse themselves in all the natural splendors of fall. 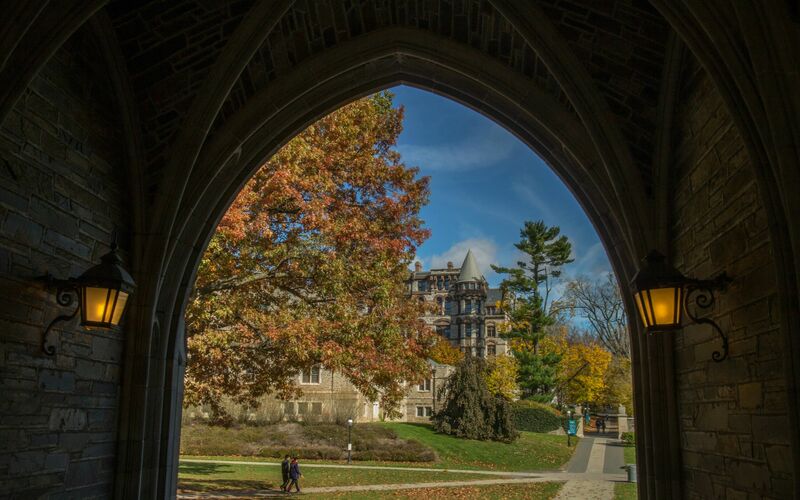 Just because Fordham University at Rose Hill happens to be in a city (New York City, actually) doesn’t mean it’s not filled with natural beauty come autumn. The campus resides on 85 acres of land in the Bronx, and its 15,000 students can enjoy the crisp, fall air while taking in the gothic architecture of their school, or strolling by the Hudson River. 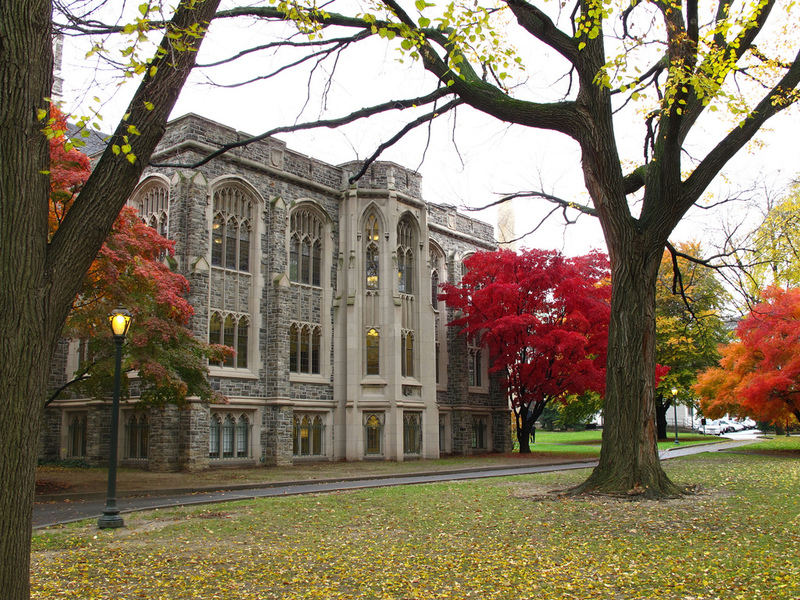 The campus, situated in the little town of Bethlehem, Pennsylvania, is the perfect place for a crisp, fall stroll. 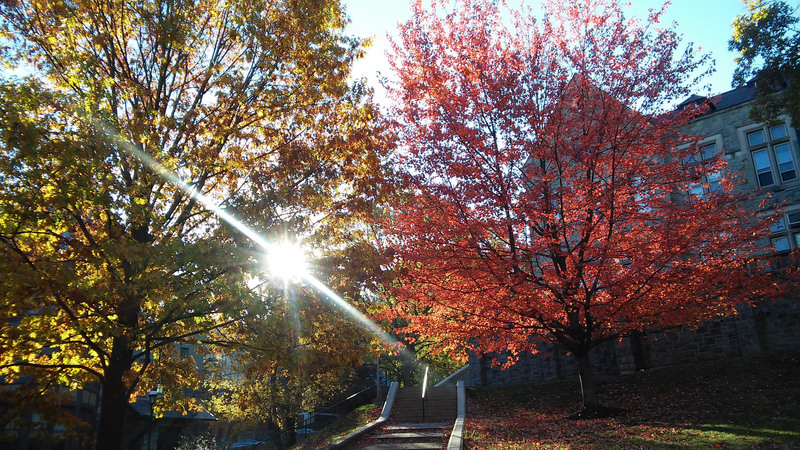 Lehigh overlooks South Mountain, which helps drench it in that golden autumn light. The unique university architecture is also something to see in any season. There’s nothing like seeing that classic Ivy League architecture juxtaposed against the vibrant reds, yellows and oranges of the giant trees that reside in Princeton, New Jersey. Princeton’s foliage is so famous, in fact, there’s even a book about it in the gift shop called The Trees of Princeton University. 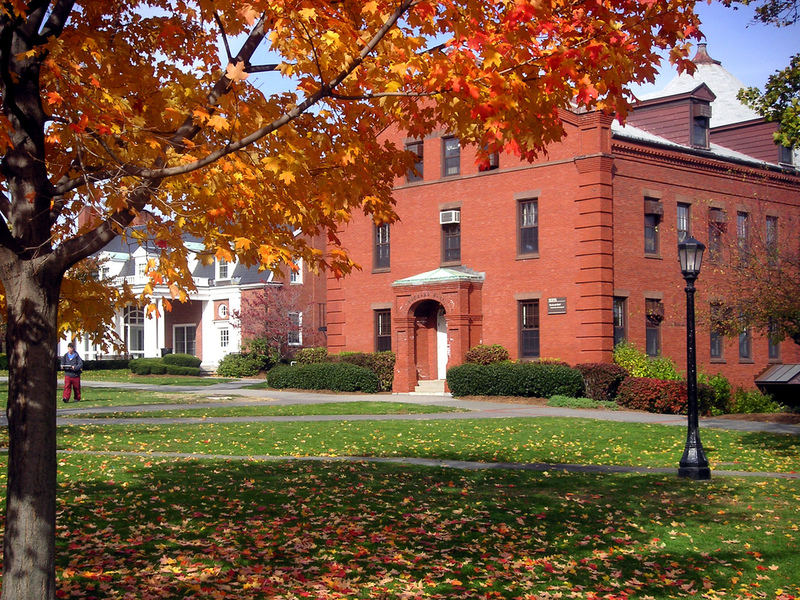 The walking paths of Bowdoin College capture what makes fall in Maine so special for visitors. The colors of the leaves on the winding campus paths are some of the most breathtaking in the country. 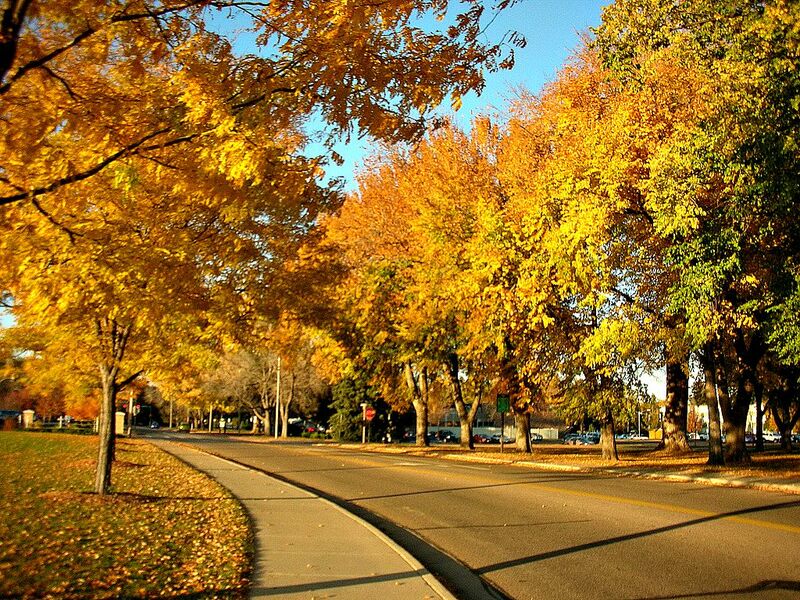 The oval green at Colorado State in Fort Collins, Colorado, is surrounded by 60 giant elm trees that seem to glow come autumn. The university is also situated in a prime location which offers some of the most epic views in the entire state.